Jyoti* has a passion for oral learners and has trained hundreds of women who are now starting and leading Bible storytelling groups. But after attending the Disciple Making Movement training, she realized she wanted to be part of starting a Disciple Making Movement among the middle and upper class – a social strata where the church has yet to see breakthrough. So Jyoti started a neighborhood English class for women. In the middle of each lesson, she would somehow insert a simple statement about God and what He meant to her. The women were touched and began asking her to pray for them. Soon she was starting every class with prayer and the ladies were opening up about family problems. 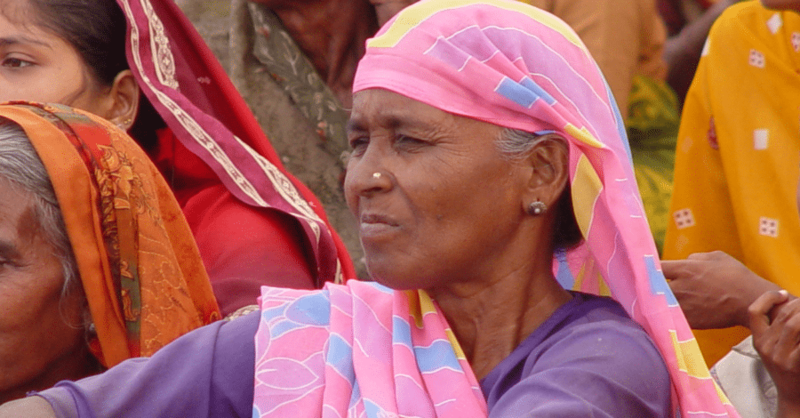 Then Jyoti taught the women that they could pray for themselves — anytime, anywhere. That was a turning point. They began to tell how Jesus was giving them peace and making their lives happier. Their self-image was being restored. Amita, a widow who was so depressed she wouldn’t even make eye contact with people, began speaking boldly and sharing her new hope in the Lord. This is particularly important in light of the reality that relegates the role of women to servitude. The fact that these women are doing such remarkable things, because they are being transformed is amazing, especially in the context of their culture. When Amita asked for a Bible, Jyoti took the opportunity to introduce the whole group to the Discovery Bible Study. The women dove into the discussion of the scriptures. Because of social and religious pressure from other sectors of society, these women would be restricted from traditional religious worship in their own communities. But they can readily be accepted and discipled in informal Discovery Bible Study groups. And Jyoti is finding that these ladies have influence in their social strata. In fact, she sees great potential for this Discovery Bible Study to multiply and someday become the citywide movement she longs to see. Partner with Cityteam International to help provide training and equip individuals like Jyoti continue planting churches and making disciples in South Asia.